Pulp and paper mills have the challenge of battling corrosion, due to the manufacturing byproduct generation of sulfur compounds. A Michigan pulp and paper mill thought its electronic process control equipment was being protected from failure due to corrosion by using gas-phase filtration products (scrubbers) and the services of an AAF Flanders’ competitor. With approximately 25 control rooms housing the electronic equipment to control the mill’s processes, the competitor provided minimal services, consisting primarily of the placement of traditional corrosion metal coupons to monitor corrosion and providing replacement gas-phase media for the mill’s scrubbers. After experiencing electronic failures in several control rooms, the mill sent the problem circuit boards to the manufacturer for forensic analysis. The findings confirmed that corrosion was present in the form of silver whiskers, a common occurrence with circuit boards compliant with the European Union’s 2003 Restriction of Hazardous Substances Directive (RoHS). The mill asked AAF Flanders to review and provide solutions for the facility’s control rooms, equipment, and maintenance practices. AAF Flanders recommended that the facility install SAAFShield® technology within their control rooms. 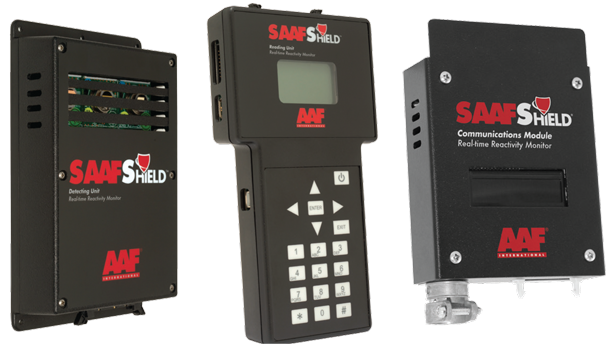 SAAFShield Reactivity Monitoring allows the user to monitor corrosion activity in real time or on-demand to determine equipment or electronics vulnerability to environmental corrosion. SAAFShield technology provides the most accurate sensing capability available, due to its quartz crystal microbalance (QCM) technology. At the beginning of the investigation, a SAAFShield DU was placed in a control room to establish a corrosion rate baseline. In addition, corrosion coupon and media life analysis was conducted. The mill agreed with AAF Flanders' determination that the scrubber was past its useful life, and replenished the scrubber with fresh chemical media. While changing the media and performing maintenance on the scrubber, the SAAFShield DU identified increased levels of corrosion for both copper and silver. When the scrubber was put back into service, the corrosion levels were decreased to levels below those before the media replacement. Having displayed such sensitivity and accuracy during the trial, the mill decided to purchase SAAFShield Detecting Units for its remaining 24 control rooms. 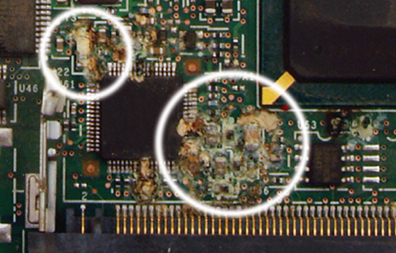 The cost of downtime is the most significant consequence of electronic equipment corrosion. In pulp and paper mills, corrosion of electronic control equipment can lead to shutdown of the process and lost production time. 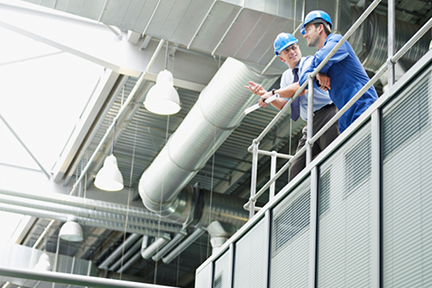 Pulp and paper mills are encouraged to use reactivity monitoring to determine the air quality in control rooms and other areas with electronic equipment. Control areas with corrosion rates over 300 Å per month on copper or over 200 Å per month on silver may incur costly failures and downtime if not protected from gaseous corrosion through methods such as gas-phase filtration. AAF Flanders’ SAAFShield monitoring technology was the perfect solution for the mill, offering confidence that its control rooms are now safe from costly unplanned downtime.